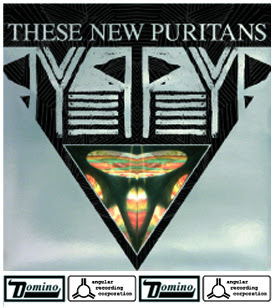 My album of intrigue this week is Beat Pyramid released today (28th Jan), the latest offering from These New Puritans (TNPS). I can't shake the Elvis song out of my head (out 11th Feb). The singer's (Jack Barnett) voice has the slightest edge of aggression and attitude but is easy to listen to and has grown on me remarkably quickly. I have got a bit fed up of hearing too many cockney accents singing recently, (nothing against the cockney accent btw) Just Jack, Kath Nash etc. Jack Barnett's voice slices through all that what feels to me to be fake junk with a seemingly clear mission to deliver. If they hold it together, I think TNPS are a band to watch out for over the next couple of years. There are a few tracks on their myspace page if you want to give them a dry run before parting with the monies. Would be good to hear from anyone who has seen these guys perform live-I have a sneaky feeling that's where they'll be at their best. Favorite TNPS lyric "We're being watched by experts".